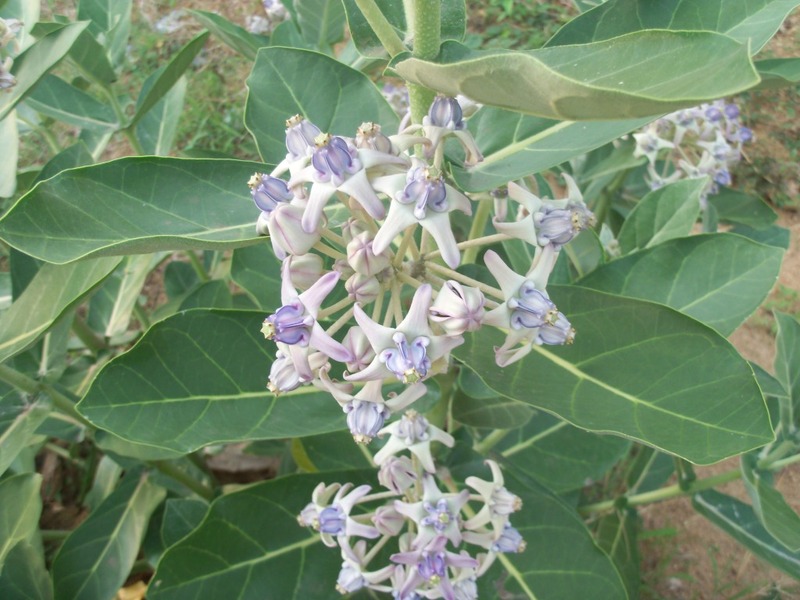 Milk weed is a herbaceous, perennial, nectar-rich plant growing up to 3-5 m tall. These can be found in old fields, roadsides, meadows and thorn forests. The oval leaves are velvety on their upper surface and downy underneath. The pinkish-purple flowers are grouped in several spherical clusters and individual flowers are small, 1-4 inch in length, with a pointed tip. The entire plant produces a white latex when broken and contains large quantities of glycosides, making the leaves and seed pods toxic for both herbivorous and omnivorous. 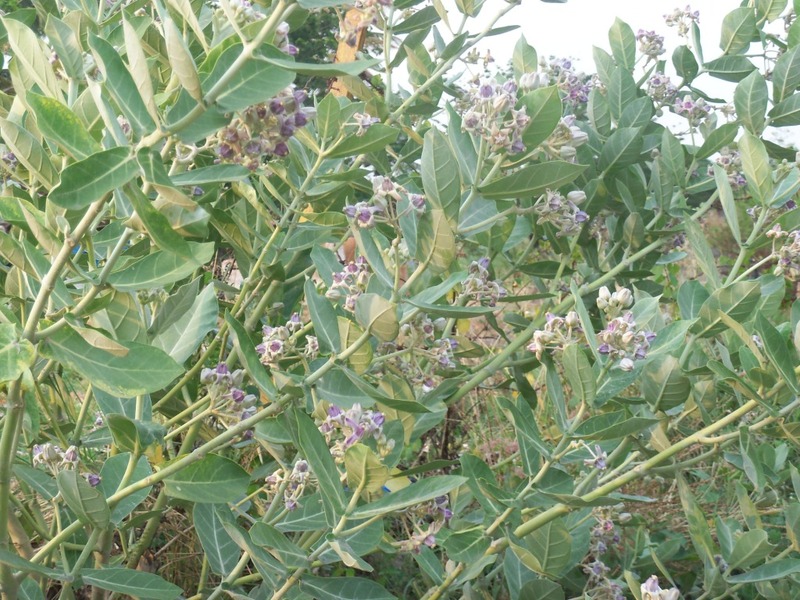 Oddly, the young shoots, leaves and flower buds are edible raw. 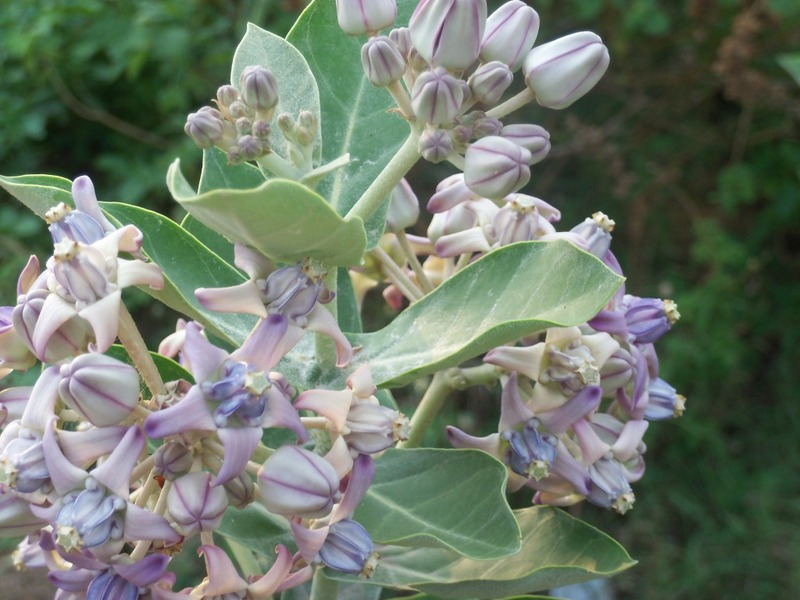 Milkwood is the famous food plant of the Monarch butterfly as well as an attractive plant to many pollinating insects and humming birds. It has also medicinal properties. The decoction from the roots can be used as a diuretic for kidney stones, a laxative and expectorant. It is also used to treat asthma, bronchitis and it induces sweating. We have a milkweed exactly like that outside the Botanical Building in Balboa Park. It’s always full of monarch caterpillars, chrysalises, or the butterflies themselves. Provides for great picture-taking opportunities.